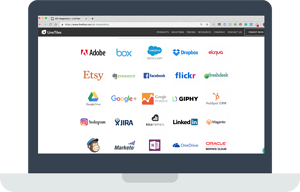 Cloud Elements has reimagined the world of app integration. The result is the industry's first API Integration Platform to virtualize APIs into unified data models that eliminate the brittle, point-to-point connection hairball. To make your evaluation as straightforward as possible, we have complied a side-by-side comparison of Cloud Elements and MuleSoft features across a number of categories. Enjoy! Normalized and consistent APIs across our entire catalog of Elements. Connectors built to different specifications and depth. A dedicated team of engineers manages endpoint maintenance, versioning, and adding new resources, so you don't have to. The onus is on your developers to manage every update from the source application you integrate to and build new resources if they aren't available. Virtual Data Resources are mapped once, allowing you to significantly reduce build time for each additional integration you make. Each integration is a source to target integration, forcing you to start from scratch for every instance of every application. The platform is accessible through a web browser or direct APIs. Our RESTful interface returns JSON payloads, regardless of endpoint. An 800 MB SDK is required for the Eclipse-based MuleSoft IDE. Along with expert Java developers on your team. Cloud integration designed for reusability, enabling teams to get started quickly without having to rely on IT. See below for more on use cases. Internal ESB, making internal integration from one application to another, on at a time, over and over. Every resource is callable, even individual workflows (Formulas), reducing application size and logic. Each web application needs to run its own instance of MuleSoft, adding overhead and cost. Pricing that scales for mid-size software companies to enterprise. Entry-level platform package, starts with price per integration and includes an option to add any new resources. An all or nothing pricing model that bundles ESB, CloudHub, On-Premise and API - consistent with its unified, hybrid integration strategy across cloud, on-prem, integration use cases and API use cases. The Anypoint platform base subscription is the default entry point and other add-on functionality can be purchased on top of it. Cloud Elements can help your organization solve your integration use case whether you're a SaaS company looking for embedded integrations or an enterprise looking to automate IT integration. 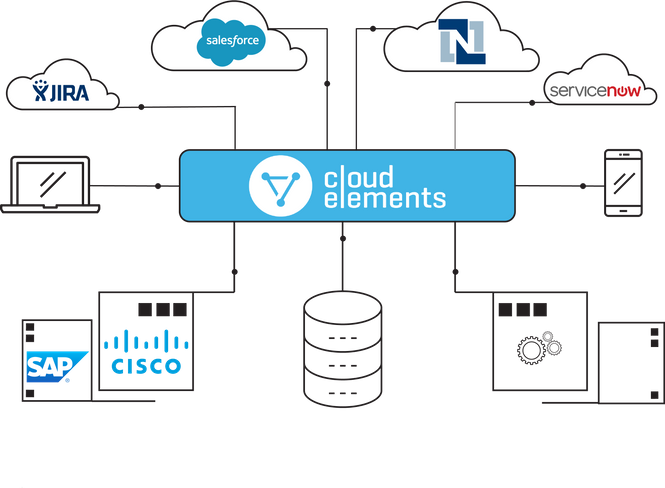 Cloud Elements offers a far more robust solution for directly embedding API integrations into your SaaS application. With a build-once, integrate-many approach, Cloud Elements’ Virtual Data Resources allow your app developers to define the data model needed for integration flows and mappings to third-party applications. Then the integration is in the hands of your end users, where they can select any endpoint from your integration marketplace and customize for their own needs. Traditional integration approaches were not developed to integrate application ecosystems. They were originally architected to connect a few monolithic applications within the four walls of an enterprise. But organizations now have hundreds and even thousands of applications that need to connect and the traditional point-to-point model doesn’t hold together for integration at scale within an organization let alone connecting entire ecosystems. While MuleSoft is a powerful tool, it can be overwhelming and sometimes overkill, requiring expensive expertise to create integrations that could otherwise be done in a web browser. If you want to expose your integrations to customers, you have to embed the Java-based MuleSoft into your application, increasing size and runtime costs. 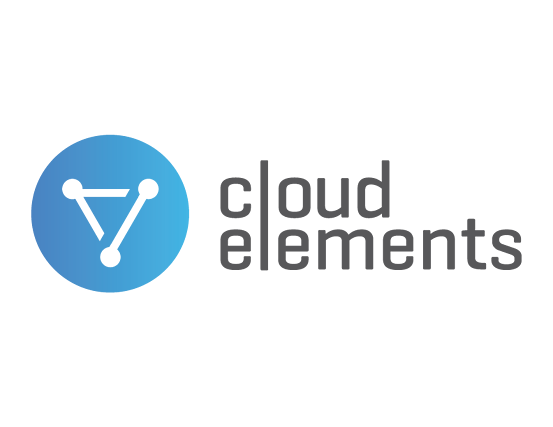 Cloud Elements is easily embedded, extended, and accessible with our one-to-many approach. If your organization is evaluating MuleSoft, download this side-by-side comparison guide and share with your team.